From the kitchen of One Perfect Bite...I love the graceful sway and swish of asparagus as it moves with the wind. The area in which I live is home to an assemblage of asparagus farms so we see a lot of it at this time of year. My love affair with asparagus began in the Victory Garden where I played as a child. I'd use the fronds to make a hula skirt or, on those occasions when I felt more regal, fashion a fan to be used by the Queen of Sheba. My love of the vegetable came much later, but when the connection was made it was a marriage made in heaven. Local asparagus has finally made its way to our green markets and Oregon artisanal cheeses and hazelnuts are again available. For the next few weeks I can dash to Canby Farms for really fresh asparagus and, along the way, pick up goat cheese made by a friend for friends. When both are plentiful this tart is sure to appear on our table. It is wonderfully flavorful but it's not for the faint of heart. If you like the piquancy of goat cheese you'll love this tart. If you're not a fan of strong cheese it's best you take a pass. This is really easy to make and it's quite pretty to look at. That's a hard combination to beat. Here are the pictures of the tart. The recipe follows. 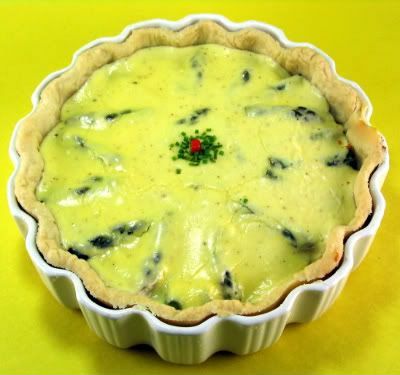 1) Preheat oven to 375 degrees F. Roll pie dough to fit a 9-inch loose-bottomed quiche pan. Line pan with pastry; prick base with fork and chill for 30 minutes. Fit a piece of foil into the the pie pan and fill with dried beans or rice. Blind bake for 15 minutes. Remove foil and beans and bake for 15 minutes longer, or until crust is a light golden brown. 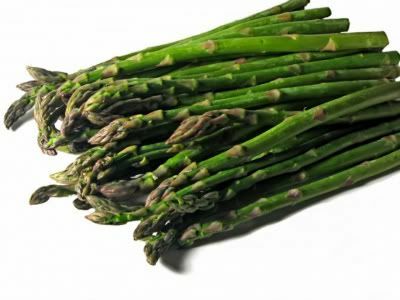 2) Place asparagus on a plate; sprinkle with water. Cover loosely with microwavable plastic wrap. Cook on HIGH power for 3 minutes. Let cool slightly. Cut into 1-inch pieces. Set aside. 3) Place oil in a medium skillet and saute onion until soft. Spoon onion, hazelnuts and asparagus into the prepared pie crust. 4) Place cheese, eggs and buttermilk in jar of a blender. Process until smooth. Adjust seasoning to taste. Pour mixture over pie filling. 5) Bake for 15 to 20 minutes, or until cheese filling is just set. Serve warm or at room temperature. Yield: 6 servings. Living in a city, I have never seen an asparagus plant. Thank you for this wonderful post! It's bookmarked in my recipe file! I love asparagus. And I'm going to make this recipe this weekend. Your photots are lovely ! Thanks for sharing and have a great day ! p.s. this is my first Outdoor Wednesday - it is so much fun ! I love garden asparagus -- that's almost all we ever eat as a vegetable during the season. And, of course, some gets into a tart -- as well as soup. Goat cheese is a favorite, especially those made by local artisans. What a lovely tart, Mary. Perfect for either lunch or dinner. A bite of this tart would indeed be the perfect bite. It looks delicious! That tart has it all! I had grilled asparagus last night. Your recipe sounds so yummy. I have always wondered what the asparagus plant looks like. Thanks for sharing. Happy OW. My dad used to grow some asparagus and I thought it was the neatest thing because I never knew how they grew. I wish I had a green thumb. Your tart looks like it's full of flavor and very tempting! Looks delicious. I'm a huge goat cheese fan. Too bad my husband hates it with a passion. I'll have to save this for when he isn't around. That slice is gorgeous! Our farmers' market promises goat cheese this week so I think I'll give it a try. That looks like a little slice of heaven Mary! I would love this for lunch. That picture of the slice of this tart is artwork!! Love it...and I'd love a bite! What a beautiful tart... it looks perfect and sounds heavenly! Love your memories of the hula skirt; priceless. Wow this is a beautiful Asparagus and Goat's Cheese Tart. I'll have to check the Happy Outdoor Wed. Never heard of it. ellen b.. I'm so glad you found us. I hope you'll join us often. I love goat cheese, this looks wonderful. Your tart pan is really pretty too. I hope to try to make goat cheese one day..
Love asparagus and so far have only grilled them or cooked them in a little bit of olive oil. The tart looks divine. I'd love to try this! lovely looking cheese tart, full of vibrant colours and really healthy. The asparagus plants are beautiful. Nothing better than very fresh asparagus and the recipe sounds divine! What a beautiful soft and creamy custard in this tart. It is beautiful and I'm sure delicious! That looks delicious! I have a love affair with asparagus as well...I like to eat mine with sour cream! Is that crazy? My grandmother liked it like that and had me try it one time and I was hooked! I also like to pick it right off the plant and take a bite...it is so good. I do not know if I like goat chess but you wrote a very nice text and lovely photo so I Want to eat it again. My husband just made some bread, just out from the oven so now I have to go down and eat. Maybe I will try to take a good photo of them first. That looks and sounds wonderful! Will have to try the recipe! I'm back...what is something yummy that I can do with a pork roast? I will search your blog and see if you have a recipe I can try! 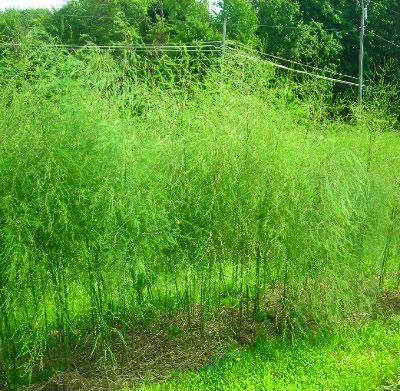 I love asparagus too, it grows wild along the ditchbanks on our farm. And just wanted to let you know Wall Drug is still goin strong, we stopped for icecream and a few souvenirs. They started years ago pre/car/air, advertising free ice water, and it was the best marketing tool ever! Kristine, I've sent you an email. Any of the potato dihes here would be wonderful. The tart looks amazing! I'm a huge fan of asparagus, but we can't grow it in our climate. Mary, your photo of your delicious tart says it all! Perfect. My husband is going to be so happy I discovered you blog! Your recipes are fabulous. I can hardly wait to take a look at your older posts and start whipping up some kitchen magic. That's such a pretty tart! Mary that is lovely! I love the garnish you place in the center. Oh, I wish I could cook something that would turn out looking like that! And it sounds so scrumptious! I've never grown asparagus. Have to give that a try. That tart looks good - but I am not fond of goat cheese. I need to come back when have more time to check some of your other posts. Hi Mary, thanks for stopping by! Yes, the milk glass cake stand was a Freecycle Pick-up. This lady, she just left it on her porch for me to pick up and I can't tell how shocked I was that she let go of something so beautiful! Chandy, cream cheese by itself would be too much. If you took a 3 ounce pk. of cream cheese and beat it with 1 cup sour cream and 1/2 cup finely grated parmesan you'd have something workable. Oh Mary, you are so amazing! I love asparagus, goat cheese and hazelnuts, so you know I'll be making this soon. Roasted garlic asparagus is a staple at the hut. I have an 85-pound lab/husky who waits by the oven door for his share. My husband would really go for this. I just have to print out a recipe and leave it on the counter. In a day or two he prepares it. Sneaky, aren't I? That is a beautiful tart. I'm loving those flavors! Mary, your post is terrific. I too think asparagus is a wonderful veggie. When I was a child we too had a victory garden and I hated asparagus. Big smile. I learned to love it though and could eat it everyday. Your goat cheese tart looks soooooo good. I must try making it. Mary-Happy Outdoor Wednesday to you! Your photographs are excellent and I just want to jump through the computer to taste everything you make, wow...I can't wait to try this tart. Thank you. Lovely asparagus photograph. Yesterday for lunch I had an asparagus sandwich on homemade bread. Delicious. 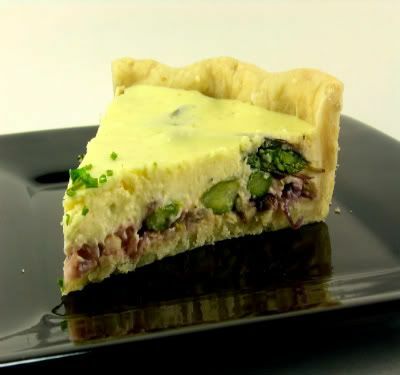 Asparagus tart sounds divine! Mary, I think you should come cook at my house! But it's very thoughtful of you to have give the recipe. I might have to try it! This looks delightful! Such a nice combination of spring flavors. I too just made a fritatta with asparagus...get'e, while you can! Interesting addition of hazelnuts, I like it. Mmm! That looks delicious! I've been eating quite a bit of asparagus lately. It's sooo yummy and good for us!